All the tanks, except Morris's had arrived without incident at the railway embankment. Morris ditched on the bank and was a little late. Haigh and Jumbo had gone on ahead of the tanks. They crawled out beyond the embankment into No Man's Land and marked out the starting-line. It was not too pleasant a job. The enemy machine-guns were active right through the night, and the neighbourhood of the embankment was shelled intermittently. Skinner's tank failed on the embankment. The remainder crossed it successfully and lined up for the attack just before zero. By this time the shelling had become severe. 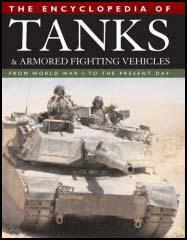 The crews waited inside their tanks, wondering if they would be hit before they started. Already they were dead-tired, for they had obtained little sleep since the long painful trek of the night before. Suddenly our bombardment begun - it was more of a bombardment than a barrage - and the tanks crawled away into the darkness. On the extreme right Morris and Puttock were met by tremendous machine-gun fire at the wire of the Hindenburg Line. They swung to the right, as they had been ordered, and glided along in front of the wire, sweeping the parapet with their fire. Serious clutch trouble developed in Puttock's tank. It was impossible to stop since the German guns were following them. Money's tank reached the German wire. His men must have 'missed their gears'. For less than a minute the tank was motionless, then she burst into flames. A shell had exploded the petrol tanks. A sergeant and two men escaped. Money, best of good fellows, must have been killed instantaneously by the shell. 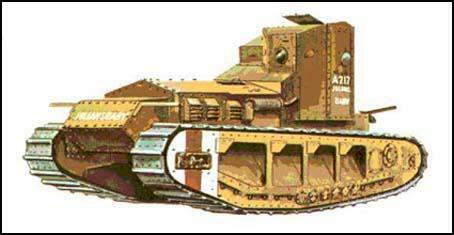 Puttock's clutch was slipping so badly that the tank would not move, and the shells were falling ominously near. He withdrew his crew from the tank into a trench, and a moment later the tank was hit again.